Late last year, I started a new site in which I was aiming to talk about productivity, time management, and the like. The original announcement post covers much more than I’ll bother sharing here. Several things have come from this blog, though. For example, I get tweets, emails, and other forms of [sometimes creepy but maybe just kidding] messages about how I run my business, how I manage my time, what applications, sites, services, and so on that I recommend. Ultimately, the site didn’t perform as well by both by internal metrics and by what I’d hoped, but I’m still receiving some questions about how I manage certain things. And given that this blog is still geared towards A Perspective on WordPress Development (which may change a little in the near future), I thought why not fold up some of those topics on productivity into this blog? For some readers, it’s not going to be the content you’re used to seeing but for others I hope it answers some of the questions I occasionally receive. That’s a bit of a longer introduction, sure, but it gives you a heads up on if you want to keep reading or not, right? When it comes to social media, people have some social media strategy that they try to follow, implement, or whatever to garner followers (which can be lame in my opinion but I do get it from a marketer’s perspective). I’m not writing about any social media strategy. I’ll share the tools I wire up to make sure I’m tracking what I’m interested in and sharing what I want to share. So here’s my social media strategy, if you even want to call it that, and the tools I use. I think it’s easier for me to talk about my strategy than it is anything else. First, I’m not a fan of buying followers. I understand firms and organizations wanting to do that, but I also see that much of the content that’s published is boring or just replete with abstract links and hashtags. It’s often all over the place. I don’t have a grand filter for how I handle tweets. When it comes to sharing things that I’ve written, I do use some help for scheduling that stuff, but I also try to stay engaged as much as any person can. Secondly, I’m not for buying followers. I like to chat with people who “organically” (read: naturally) find me and wanna strike up a conversation (as much as 140 characters allows). And speaking from experience this is something that is really valuable. It’s lead to good working relationships, and it’s lead to some actual friendships (yes, mom, I get friends from the Internet) that are especially fun when attending conferences or having people crash at your place. But enough about that. Here’s the bottom line: Be yourself, share your stuff, share other things you like, and don’t forget to share what your friends are doing, as well. At this point, even talking about social media strategies and tools feels weird to be because I feel a bit out of my element. But it’s something that I think is necessary for those who want to find a happy medium (no, not that Medium) between blogging and tweeting. If you’re looking for help with Facebook, I’m not that person. 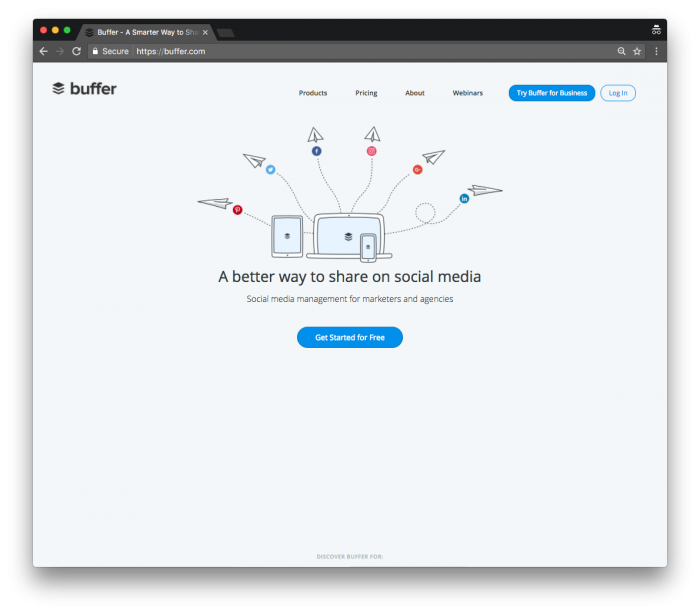 Anyway, the whole purpose of the tools that I use are simple: Streamline the process of sharing various media, tweets, blog posts, and whatever else I want to share. So here we go. I’ll keep this short. This is my preferred Twitter client of choice. I use it both on macOS and iOS not only because of how it functions but because it also interfaces well with the rest of the tools I use. 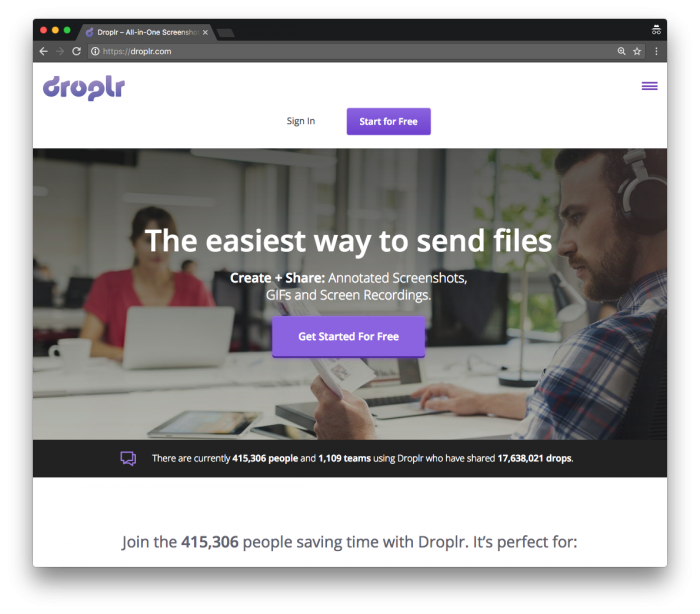 There are some file sharing services that are out that, but Droplr’s been my favorite for some time now. The thing is, I use it for sharing things with others and I use the self-destruct feature for certain, time-sensitive or secure things. 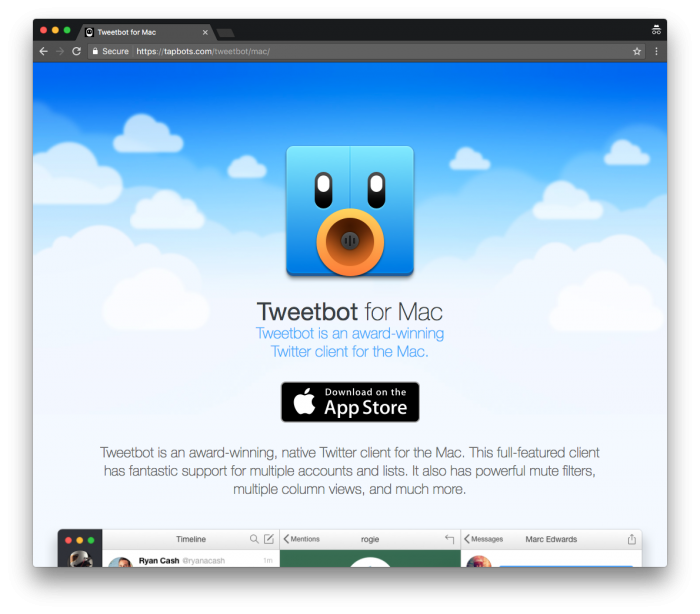 But being able to have TweetBot easily take a form of media, easily shoot it over to Droplr, incorporate it in a Tweet, and also see statistics on file in Droplr make it a solid option. 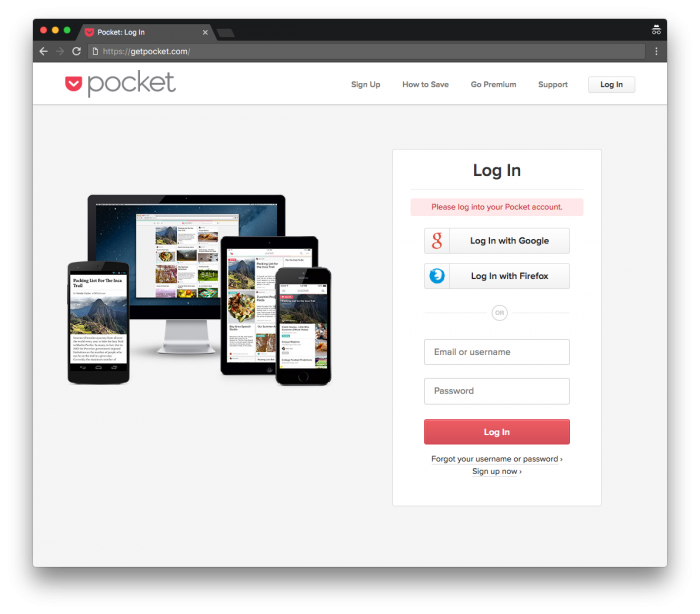 I think most people are familiar with Pocket (especially since Mozilla acquired it which still seems weird to me). And if they’re not, they’re likely familiar with Instapaper. Anyway, the point is that I often come across a tweet that links to an article or something I want to read but don’t have the time to read at that moment. TweetBot makes it easy to throw it into Pocket and then read it later. Whether not I have to declare Pocket bankruptcy at some point is a different story, though. Simply put, there are times I want to share things I’ve written, things I’ve read, or things for fun but I know that I’ll be heads-down working. So I’ll set up the tweet and schedule it to go out when I want. This is just as useful when I’m at my desk as when I’m traveling. Plus, their iOS app is solid, so it makes it just as easy to setup scheduled material. I’d like to mention that Post Promoter Pro is always a good WordPress-based solution if you’re focused solely on sharing your posts on Twitter outside of any other type of content. So that’s my fancy social media strategy that’s guaranteed to get you more followers than you can handle. It’s not about followers. It’s about the types of people with whom you can interact, from whom you can learn, and with whom you can share information. And, yes, it’s also about making sure you Type-A personalities have all of your stuff together. Because you know that I know how that goes.